I miss college. I miss just going to class, pulling all-nighters, and living off coffee and the occasional Belgian waffle. And dollar Coronas on Thursday nights, of course. But mainly, I miss taking random classes about topics that genuinely interest me. 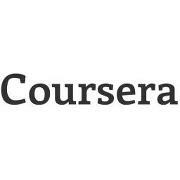 So when I heard about Coursera, I was intrigued. Basically, Coursera is a company that partners with the top universities in the world to offer courses online for anyone to take, for free. The coolest part is the universities who are participating – including Princeton University, Stanford University, University of California, Berkeley, and others. Since I didn’t quite make it into an Ivy League school back in my post-high school years, now’s my chance to experience what class is like at some of the best universities in the U.S. I’d love to see even more classes offered, especially during the summer, but in the meantime I’m excited to check out the Introduction to Sociology course taught by a professor from Princeton, which starts June 11. Wish me luck! Good luck! The opportunity to take part in a MOOC sponsored by such elite institutions is pretty amazing. Stay strong and hope you enjoy the course!